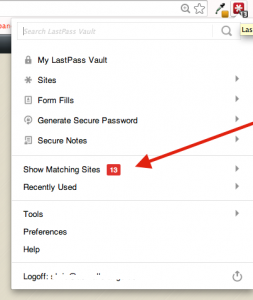 LastPass is a fabulous password and login management tool that is available for free (and via a paid version with all those super nifty extra features). A lot of us HostNiners use it every day! Unfortunately, the way it deals with our Reseller Central may cause some issues with your account. 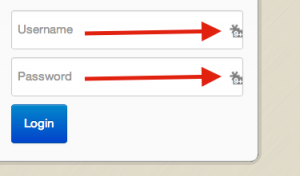 When you are logged in and change a setting from within an active page, like the Account Modify page, LastPass autofills the username and first password text boxes with your main RC account login username and password – NOT your cPanel login information. This sometimes causes random cPanel username changes and problems with creating accounts and upgrading plans, among other issues. It can even break all the paths on your site because your cPanel username was modified! Close your browser and reopen it – magic! Now when you go to the site to login, simply click the LastPass asterisk near your blank login text fields and and select the applicable site to log in. Note: you can also click the asterisk icon at the top right of your browser window, click Show Matching Sites, and then click the correct login option as well.